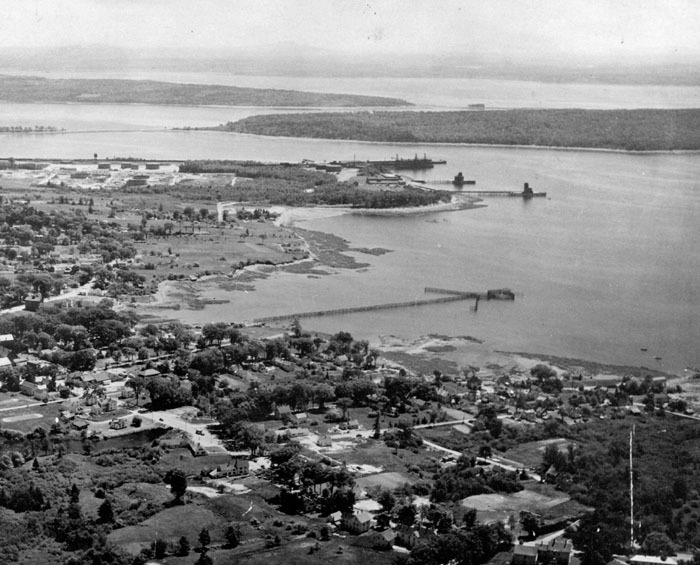 In the 1950s there was a very large herring fish weir in Searsport, Maine, as shown on this aerial photograph. Fish swam along the shore, ran into the leader, then swam around in circles inside the pound. Fishermen often caught the fish using a seine net inside the weir. Similar weirs were found in towns like Rockport and on the islands in the Muscle Ridge group. These weirs supplied canneries in Belfast and Rockland.